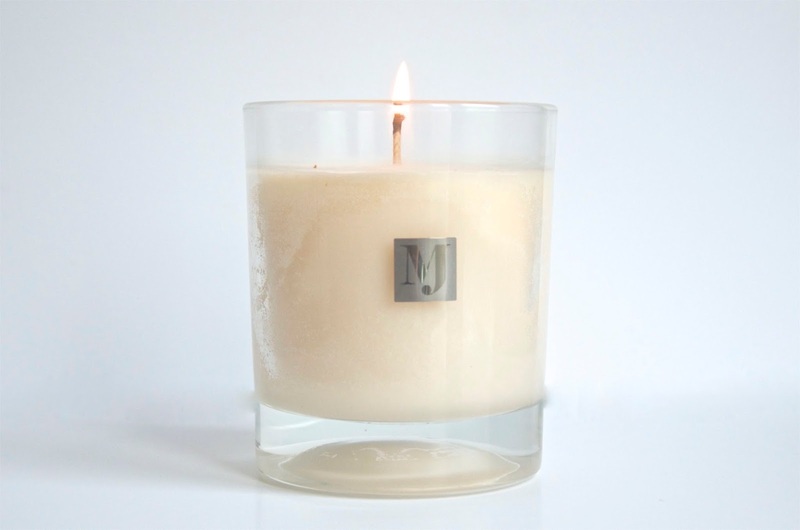 I'm not usually the biggest fan of vanilla when it comes to perfume or home fragrances, however I do subscribe to the never say never mentality and this gorgeous Ivory MJ Candle by Marta Jonsson is the first vanilla candle I've ever truly loved. Not too sweet, not too overpowering and beautifully presented, this little gem gives off a fragrance that is more reminiscent of custard than the vanilla candles I've smelled in the past. At just £12.99, the Ivory MJ Candle is a bargain and gently scents the room with a comforting fragrance that is both welcoming and delightful! In its simple glass jar, the candle is unlikely to interfere with any decor in the room and has only a small silver monogram logo, but if you're not a fan of that, simply turn the jar around. I love this candle and find that it's perfect in the kitchen or the bathroom. For more information or to get your hands on this gorgeous candle, visit www.martajonsson.com.